Here is the latest and greatest news coming down the Beachbody pipeline, and I of course want to pass along that info to the GooBurner team! While many of the details are TBD, I’ve got some great bullet points to pass on to you. 1) Tropical Shakeology — it is in final longevity testing right now, and if it passes with flying colors and needs no tweaking (which it looks like it will), it will be ready to purchase in January. And here’s the best part, especially for folks who are following a whole foods plant based diet ….. wait for it ….. it’s VEGAN!!! Carl Diakeler also assures us that the final formulation tastes amazing. He’s been using Chocolate Shakeology for 3 1/2 years, and he’ll switch to this because it’s his new favorite flavor. 2) Pump Workout — Available in December, this workout, called “Les Mills Pump”, is based on the internationally popular Body Pump classes that are at gyms world wide. The difference is this program brings it to your home, where you can do the workouts on YOUR schedule. You’ll get 7 workouts, a barbell, weights, and a workout guide. This workout program is based on the concept of using lower weight, high reps of barbell work to burn a TON of calories and sculpt long lean muscle without building too much bulk (this is called the “rep effect”). In a typical workout, you’ll do over 800 reps and burn over 1,000 calories. The price hasn’t been set yet but it will probably be in the $200-$250 range (which is a smoking deal considering it includes the barbell and weights in addition to the program). 3) Tai Cheng — Available in February, this workout is based on the martial art Tai Chi. It is low impact / no impact, and focuses on re-equilibrating your body, training your body to use correct posture, flexibility, stability, strength, and coordination. It’s about mobility and agility. This is a great workout for people with chronic injuries, old injuries that have changed our posture or mobility, and for older folks who need a low impact workout program. This 90 day workout package comes with 13 DVD’s, a foam roller, bands, and nutrition guide. 4) Beachbody P90X iPhone App — This fall/winter we should see the release of the new iPhone P90X app from Beachbody. No, it won’t be available for Droids at this time (sorry Droid users!). The app will not only log your workout info and track your progress, but you can actually buy digital copies of the P90X workouts for download to have right on your iPhone or iPad. That’s very handy for working out on the road or away from home. There will be more details released when the app is available, but I am excited about it. The same plan (digital copies of the workouts and tracking / logging) will also be available through an app for P90X2 at a later date. P90X is the program they are launching with first. 5) P90X2 — This is going to be the hugest launch in the history of Beachbody. For comparison, in the first 30 days of opening up orders for both Turbo Fire and Asylum, orders were 10,000 units. In the first 30 days of opening up the P90X2 pre-orders, units are already past 46,000 orders. Not only is this off the charts in demand, but elite professional athletes are coming to Carl D. and asking how they can be part of the P90X2 program. 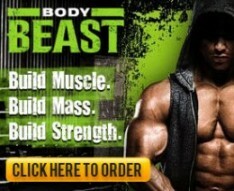 The exposure and buzz for P90X2 is going to explode in early 2012. The free shipping offer on the P90X2 kits is open until the end of November, but the first run may sell out before that, and the only orders that will be shipped before Christmas are the first run. 6) X2 Advanced Workouts Available for Pre-order — Beachbody has now opened up the 2 Advanced workouts (V-Sculpt X2 and Chest/Shoulders/Tris X2). So those of you who ordered (or are going to order) a base kit, but want the extra 2 workouts, now is your chance to pre-order them.